I confess that I am something of a fan of the Swedish home furnishings store IKEA, having spent countless hours wandering its shiny showrooms in three different countries (Canada, the United States, and France). As evidence of this, you need only stand in the middle of my house and look around; you can’t help but see an IKEA product anywhere you look. Although some may decry its mass marketing approach, I like that there is a consistency to the IKEA shopping experience. Whether I visit a store in central France or the suburbs of Vancouver, I know that I will see the same kinds of products, laid out in the same way, according to the same floor plan. This sameness might bother me in other settings, but there is a quirky charm to the world of IKEA that counterbalances the monotony. From its amusing product names to the ubiquity of kitschy Swedish foodstuffs, I always feel like I’ve found a tiny corner of Sweden wherever I happen to be in the world. Whether this experience is authentically Swedish or not, Swedish design is everywhere to be seen, and in ways that are not always obvious. For years I had noticed that horses, and red horses in particular, were a common decorative motif in IKEA products, whether appearing two-dimensionally on pillows or rugs, or as carved decorative figures gracing elegant bookshelves. I later learned there was great significance to these tiny horses, and about the centuries of history they represent. I thought IKEA was a popular symbol of Sweden, but the Dalahäst (also known as a Dala horse or Dalecarlian horse) is a much more ancient and enduring one. 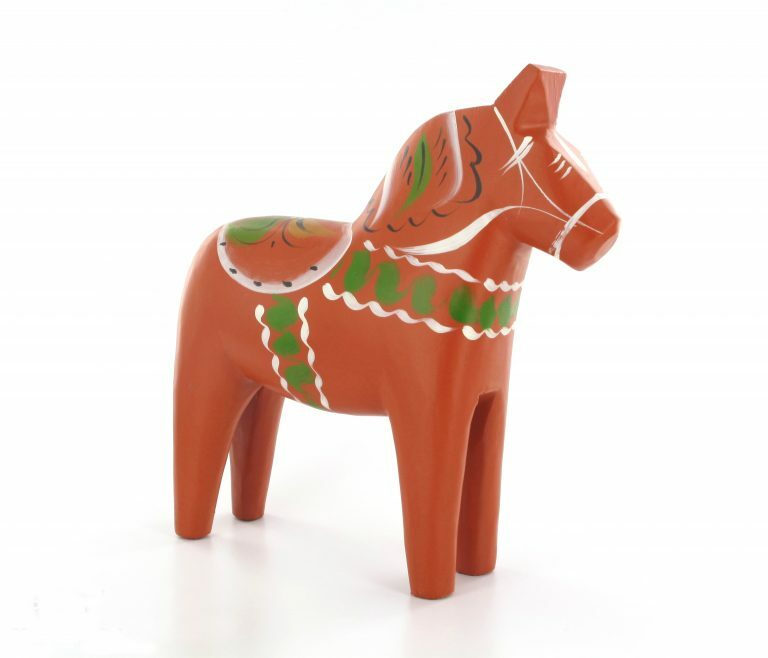 Created in the Swedish province of Dalarna (Dalecarlia in English), the painted wooden horse has become a potent icon of Swedish culture. Horses are an integral part of the history of Sweden, having deep cultural and religious significance. It is believed that horses were first introduced to Sweden around 2000 BCE, when Russian nomads invaded the area, overpowering the local inhabitants with their superior military capabilities—including their horsemanship. Horses soon became a valuable asset in farming and forestry for the region. The religious symbolism of the horse is long-standing in Sweden; not only was the horse the sacred animal of the As religion of the Vikings, but it was celebrated in Norse mythology as well. Horses were associated with the gods, most notably with Odin, who was said to have an eight-legged horse named Sleipner, given to him by the trickster figure Loki. When Christianity was introduced to Sweden in the 11th century, church leaders worked to discourage horse worship among the people, teaching that the horse was unclean, as were the practices associated with it: ritual slaughter and the eating of horsemeat. Although the church’s efforts were mostly successful, the people of northern Dalarna, particularly those living around Lake Siljan, retained their ancient connection to the horse, refusing to demonize an animal so essential to their daily lives. 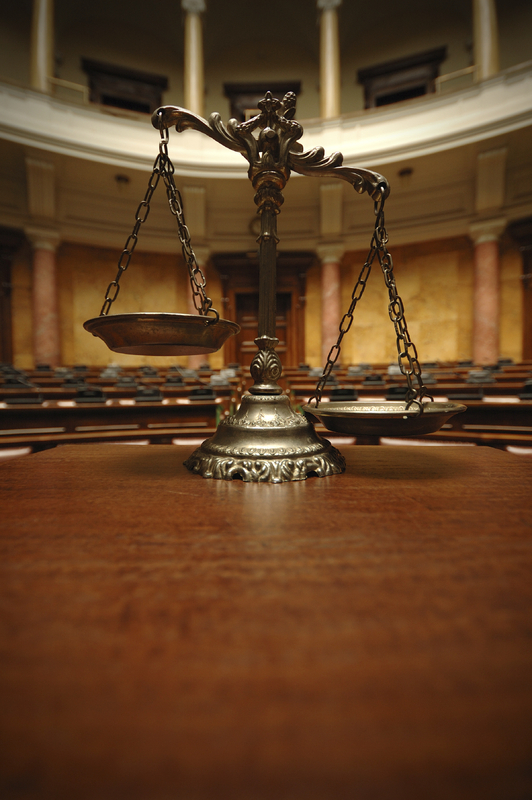 The ongoing struggle between the church and local custom can be seen in two separate incidents from the 17th century. In 1624, Bishop Johannes Rudbeckius of Västerås, the diocese city of Dalarna, gave a sermon denouncing the selling of certain “articles of destruction” in the market, a list that included wooden horses. Forty years later, during a witchcraft trial in Dalarna, the parish priest accused those on trial of using a “baror,” a magic wooden object in the shape of an animal (possibly a horse), to advance the work of the devil. At the same trial, the county constable claimed that the devil himself gave wooden horses to the local children to lead them astray. Despite these negative reactions to wooden horses, they seemed only to grow in popularity in the following years. In the 18th century, men working in the forests of Dalarna would carve wooden horses as a leisure activity and give them to children back in the village. By the 19th century, painted wooden horses were a common item of trade, often used by traveling salesmen as payment for room and board on their journeys. Created primarily in the villages around the town of Mora, these horses were painted with a floral design, reflecting the general decorative style of the time. This pattern of decoration eventually developed into the kurbits (or ripple) style of painting, which continues to this day. In 1939, a large Dala horse was displayed outside the Swedish pavilion at the World Exposition in New York, sparking international awareness and interest in this traditional Swedish craft. Demand for Dala horses has continued, and it has become a popular souvenir for tourists coming to Sweden, and an enduring cultural icon. Much of the demand for Dala horses is fulfilled by two companies in the town of Nusnäs: Nils Olsson and Grannas A. Olsson. Crafted from premium pine timber found in the forests surrounding Lake Siljan, the horses undergo a multi-step process, from felling the tree through hand carving, various stages of hand-painting, sanding, and varnishing. The finished product is stunning, a beautiful tribute to the long and intimate relationship between horses and humans in Sweden. Note: This is an updated version of an article that originally appeared on Interesting Thing of the Day on September 25, 2006.